The core rulebook contains the complete game rules, including character creation, combat, magic, equipment and monsters. Hi there! This is awesome! Please release some more Gauntlet versions! Also, do you happen to have a cool looking character sheet at all? Cheers, and thanks again for all the great free games! @discuit: The only advice I can give you is to compare new gauntlets with the already existing ones and raise or lower the price how you see fit. There are no guidelines actually. 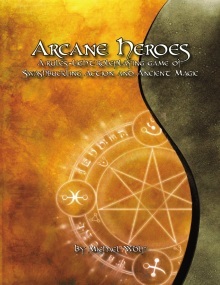 Pingback: Ask The Readers: Have you played Arcane Heroes?